An innovative audio product gives all functions of headphone amp. and preamp as well have fun tube rolling. The pure class-A circuit and low voltage hybrid (tube/transistor) preamp provides audiophile quality sound, compact size, and easy/safe DIYer accessibility. 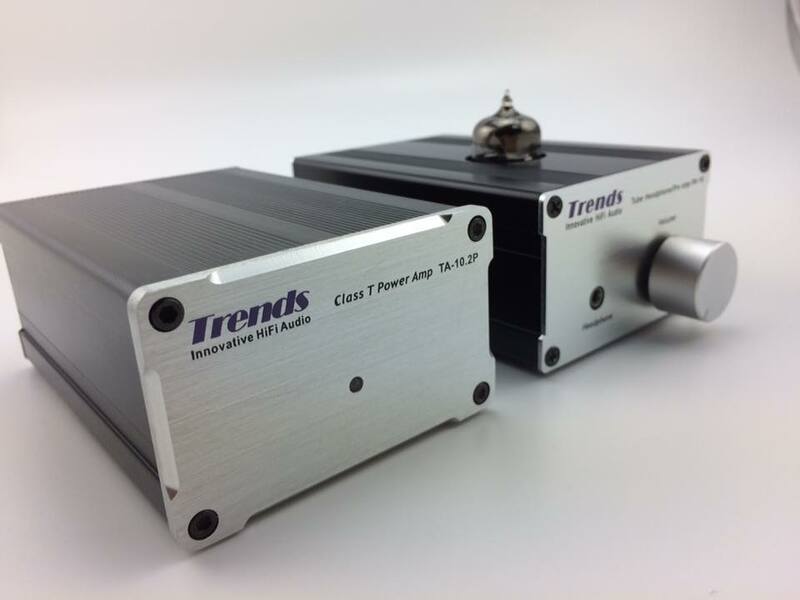 "Trends PA-10 Tube Preamp is an affordable and compact hybrid Swiss army knife type of preamp" & "The most economical way to enter the world of true high fidelity headphone system"! 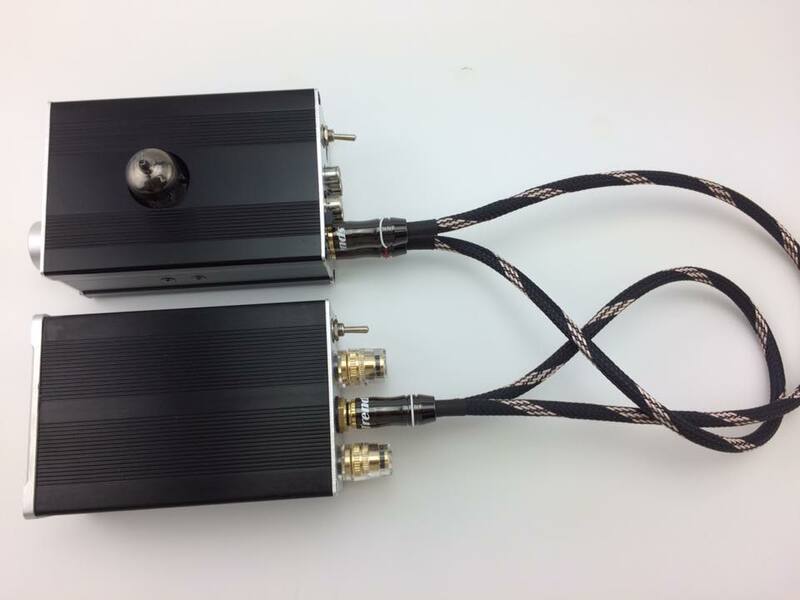 A high quality built in DAC that allows the audiophile to hook up between the computer with a USB port and an external DAC. Trends UD-10.1 allows the user to access music files from the desktop, watch movies or listen the internet radio from the computer. 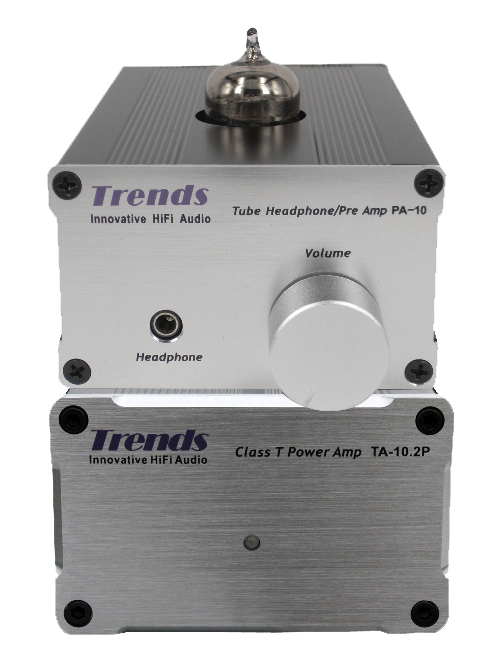 With unique 4 digital outputs (optical, coaxial x 2, AES/EBU), "Trends UD-10.1 is simply a must-have for anyone with a computer-based recording or playback system"
Combine with the awarding Trends TA-10 power amplifier, Trends PA-10 Tube Headphone/Pre amplifier and Trends PW-10 PSU, Trends Combo One comprises a good-sounding, compact tube-and-solid-state amplification system. Start US$550 and applied revolution audio technology, we let more audiophiles, music lovers or even PC/Smartphone users can enjoy the high fidelity music in an affordable price. Using Trends PW-10 PSU, One AC power supply unit concurrently supports THREE audio appliances Trends TA-10 integrated amplifier, Trends PA-10 Tube Headphone/Pre amplifier and Trends UD-10 USB Audio Converter, making Trends Combo 10 perfect for integrating your computer and Smartphone into your audio system and achieves the sound quality of high-end Desktop Hi-Fi but in a very affordable price. 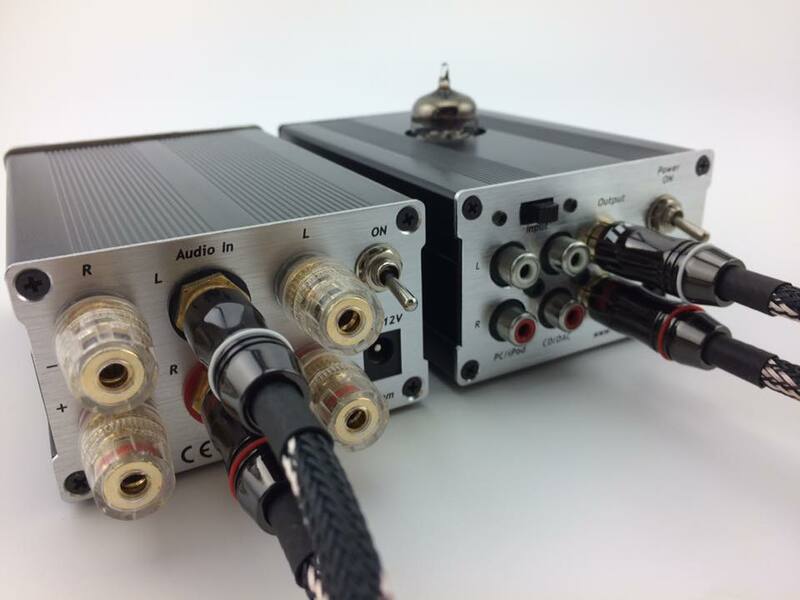 With unique PC/iPod input with higher gain (6x) works with low output-voltage sources and compact size, making Trends PA-10 Tube Headphone/Pre amplifier and Trends TA-10 integrated amplifier perfect for integrating iPhone/iPod/iPad into your audio system. Better sound quality, larger storage capacity and a more user-friendly interface than most standard CD players. How the switching power, linear power or battery power impacts on your audio system? Our unique Transformer-based linear mode power supply & One AC PSU supports THREE audio appliances: TA-10, PA-10 and UD-10, making PW-10 PSU perfect for setting Trends Combo Hi-Fi Systems with audiophile quality sound. Using the reliable conductors and isolators, Trends Audio’s audiophile audio cable and Line Out cables give you amazing sound and affordable price. 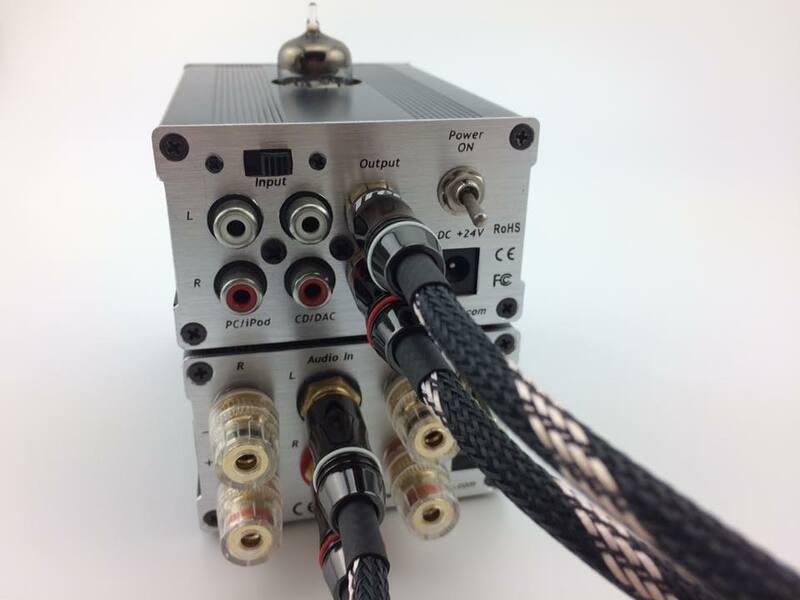 Our innovative design and specialized connectors ensure the highest accuracy and the best sound quality. Hearing is believing! As a Trends Audio products user, you are honor to have an upgrade to our award-winning Hi-Fi system and enjoy our special Trade-in offer. Sound quality this good is now available in a size and price that you can afford, and is no longer the exclusive domain of larger "audiophile" systems.